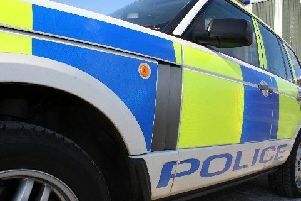 Police in Midlothian are appealing for witnesses after a cannabis cultivation was discovered at an industrial unit in Loanhead on Friday (May 18). Police officers attended at Unit 5/1 Eldin Industrial Estate and seized 25 mature cannabis plants worth in the region of £7,000, and 1.72kg of cannabis worth in the region of £17,000. Inquiries are ongoing and officers are asking anyone with information that can assist them to please get in contact. Local area commander, chief inspector Kenny Simpson, said: “Removing illegal and harmful drugs from the streets of Midlothian is a priority for local residents, as it is for me and my officers. “We take all information we receive from the community about the production or distribution of illegal substances extremely seriously and will act on it immediately.